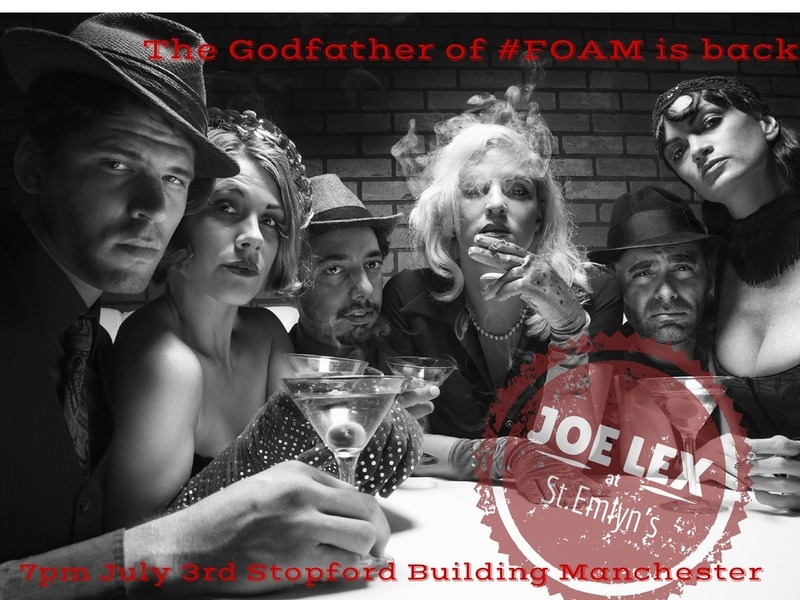 In the spirit of our FOAM family, we are delighted to welcome the godfather of FOAM himself: Joe Lex. Joe is returning to Manchester on 3rd July for another FOAM event so if you missed his fantastic talk last year (or if you were there but you’re ready for some more Lex-y goodness) this is your chance to hang out with this incredible man as he shares his “Lessons Learned During 47 Years on the Front Lines”. The event will take place at the Stopford Building, part of the University of Manchester, from 19:00 on Thursday 3rd July 2014. The talk is free to attend but you do need to register in advance: email us at stemlynsevents@gmail.com or fill in the form at the bottom of this post to reserve your place. The event is co-organised with the help of the Emergency Medicine section of the Manchester Medical Society. After the talk Joe & some of the St Emlyn’s team are going for dinner and drinks in Rusholme and we’d love you to join us on Manchester’s infamous curry mile. Please indicate in your email whether you’ll be coming for dinner so we can ensure there’s enough space! On behalf of the St Emlyn’s team, we look forward to seeing you there. This is big news and a huge coup for St Emlyn’s. Joe is one of the best speakers there is and whether you have never been more enthusiastic about your career in (Emergency) Medicine or need reminding about why you chose this career this opportunity should not be missed. I promise you will leave energised and enthused. We do have the best job in the world and Joe Lex is the living epitome of that. Due to unavoidable work commitments and geographical hurdles I can’t be there, but very much hoping the talk will form a special edition of the St Emlyn’s Podcast in the near future. For everyone else remember that this is a free talk. All yo uhave to do is get yourself to Manchester and let us know you are coming. The venue is a short walk to the famous curry mile in Rusholme so there are many places to eat and socialise after the talk. Joe tells us how it is and how a life spent in EM is a life well spent.